The Shorinzan Darumaji Temple is a 2-hour train ride from Tokyo near Gunma-Yuwata Station. From the station you have to walk around 15 minuts to the temple, which is on a small mountain. There is also a bus, but it doesn´t run that frequently, that´s why it is better to just walk. The Shorinzan Darumaji Temple is the birthplace of the famous Daruma doll, which is one of the best-known lucky charms in Japan. The temple was built in 1697 and houses many different Daruma dolls, which can be viewed in a small exhibition and also everwhere around the temple. 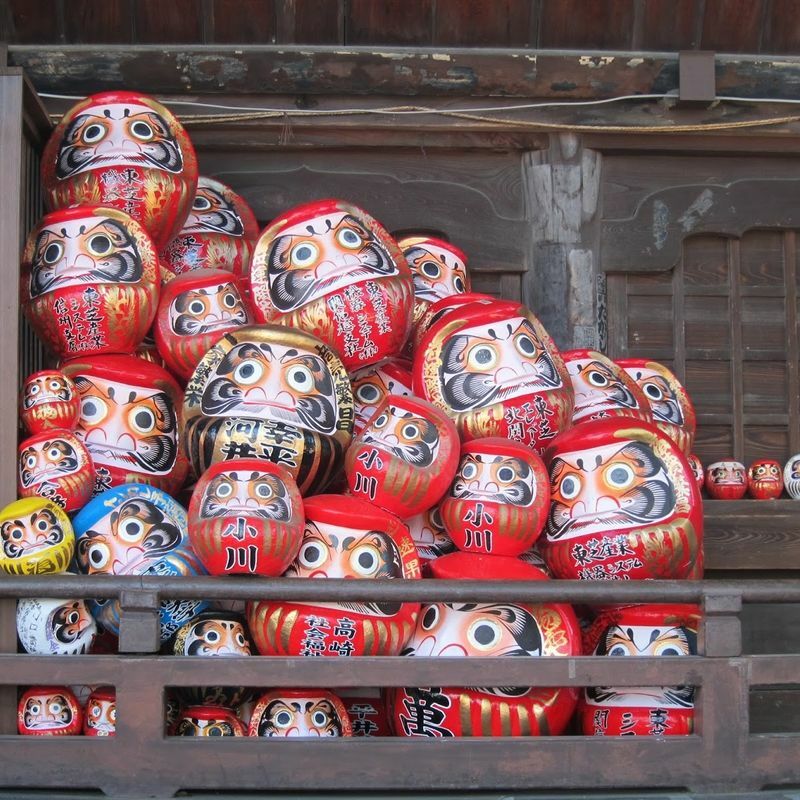 Every year at the beginning of the new year, old Daruma dolls are burned and piled up on the forecourt. Some of them were already burned during my visit. 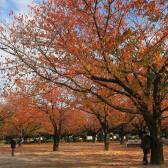 The remains, however, reminded rather of giant egg shells, as to old Daruma dolls. The temple complex is very large and has several platforms from where you have a nice view over the city. Of course you can spot some Daruma figures in every corner. 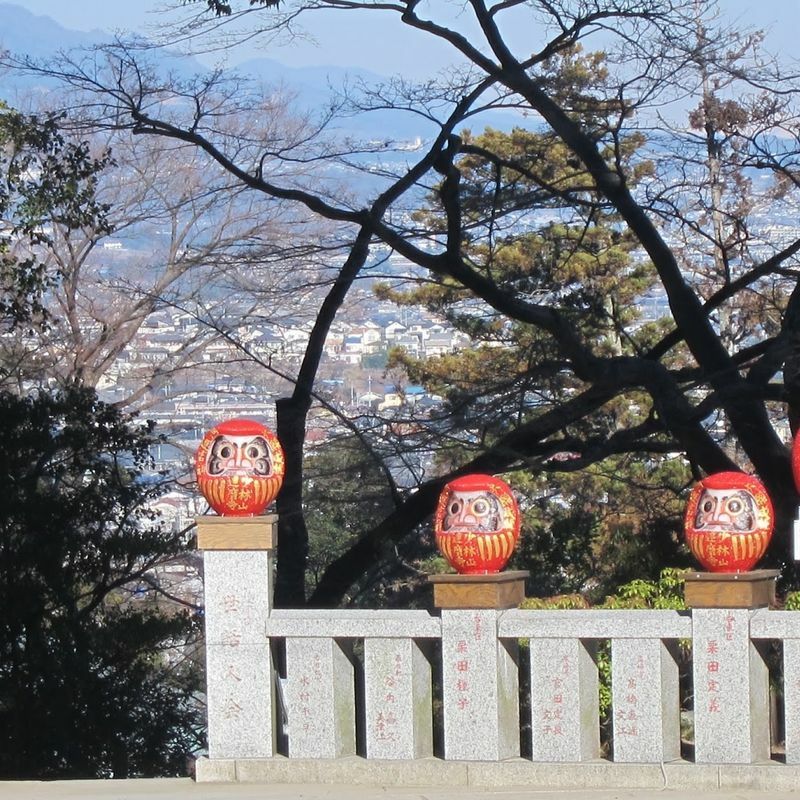 Even on the way to the temple you can find Daruma really everywhere. like on traffic signs, vending machine and statues. 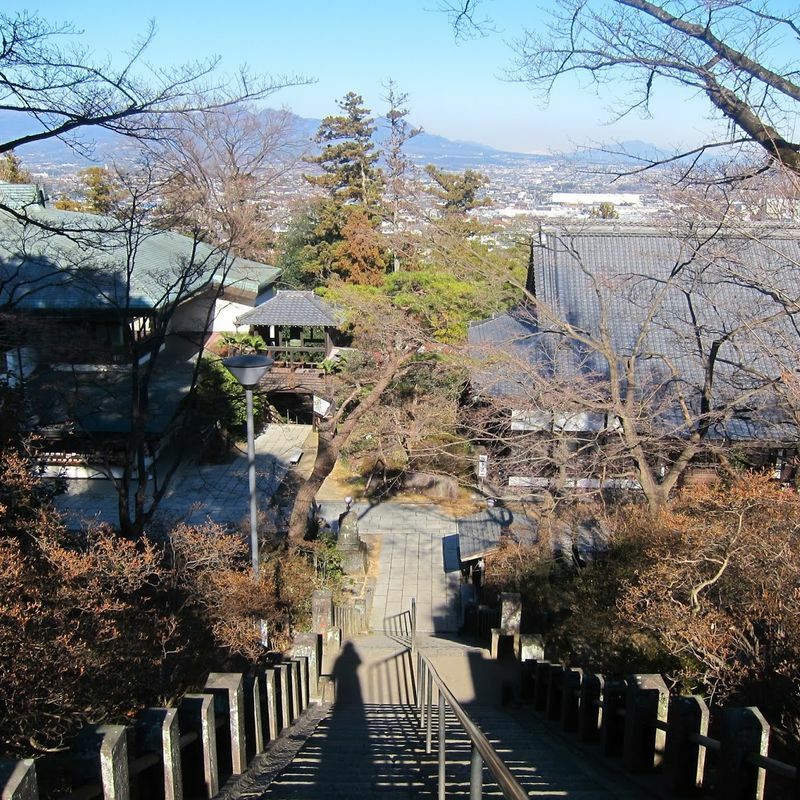 If you are already in the Takasaki area, I would recommend to visit the Daruma temple!